It’s been quite the Saturday … and here it is, almost nine-thirty, and I’m thrilled that I’m still awake. I’ve been up since 5:30 this morning. I got in a long run with friends and then I got to enjoy a brunch with some mommy-friends. And, amazingly enough, we made it two hours talking about ourselves vs. our children. Try it sometime — it’s harder than you think. Plus, who doesn’t love a nice glass of prosecco on a lovely Saturday? 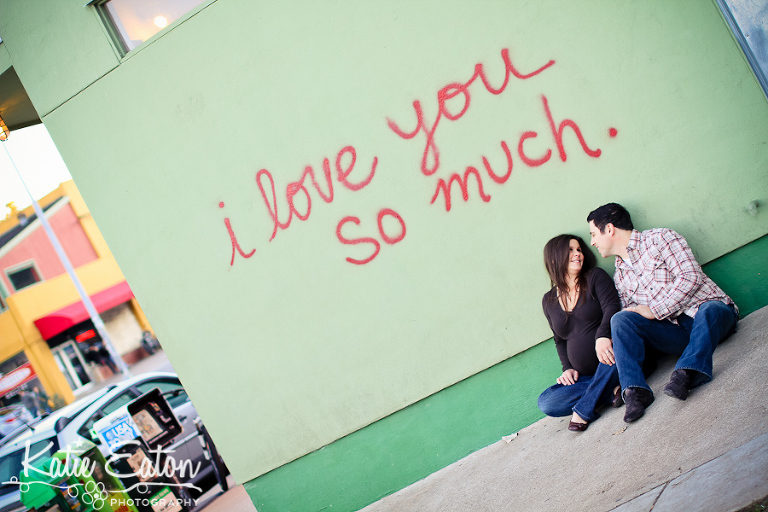 and then I had the honor of photographing one of the most beautiful pregnant woman on South Congress. And — it wouldn’t be a session without using the infamous ‘I love you so much’ wall.